Each winter, Breckenridge boasts a wide variety of fun events that compliments the adorable mountain ski town. Whether you are planning to visit this winter for a ski trip, a family getaway, a holiday getaway, or a solo vacation, be sure to plan your trip around these favorite Breckenridge winter events you do not want to miss. 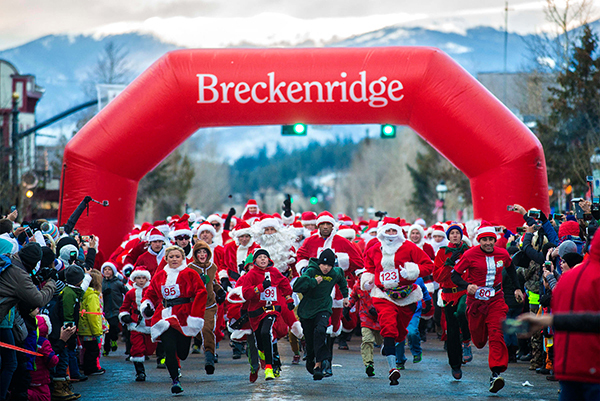 Watch hundreds of Santas run down Main Street Breckenridge at one of the most festive holiday weekends of the winter. The holiday lights sparkling off of the snow and highlighting the stunning 10,000 feet + mountains that surround Breckenridge is a magical experience and a must see. Plus, take the kids to meet Santa at the Barney Ford Museum on Washington Ave after the race. One of the most renowned and anticipated winter ski events in Breckenridge is The Dew Tour - a ski and snowboarding competition that brings together the best riders from around the world. This year brings something extra special to the event -qualifiers for the 2018 Winter Olympics. This event is the start of pro skiers/riders making it to the Olympics in PyeongChang, South Korea. Competitions includes super pipe, slopestyle and streetstyle. For those who might not know, Uller is the God of Snow, and every January, Main Street Breckenridge shuts down to praise the beautiful white stuff that falls out of the sky we love so much. The party kicks off with a Main Street parade showcasing Breckenridge locals creative parade floats. We recommend partaking in the World's Largest Shot Ski - a 1,250-foot ski that holds shots from local's favorite Breckenridge Distillery, as this year holds a friendly competition with other ski resorts to ensure that Breckenridge maintains the largest shotski in the world. 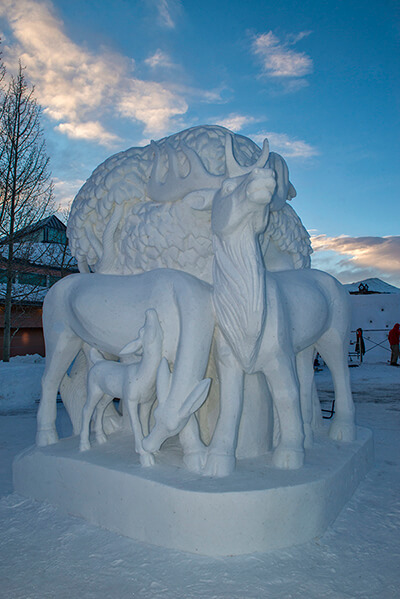 One of the most popular events that Breckenridge hosts in the winter is the International Snow Sculpture Championship. This incredible event features spectacular and creative peices of snow-art, sculputed by professional artists from around the world. Large pieces of snow/ice are placed in the competition area of the Riverwalk Center outdoor area and for days, teams turn the blocks into truly exquisite scupltures that visitors and locals can view for free. This event is one of our favorites and we recommend viewing the sculptures at night as each creation is lit up. Another fun event in the heart of winter in Breckenridge is the New Orleans-style Mardi Gras festivities. After a fun day of skiing on the mountain, head to downtown Breckenridge to catch the Mardi Gras parade which features music, beads and specials giveaways. Continue celebrating by heading to any of the bars, pubs and restaurants on Main Street Breckenridge to enjoy drink specials. Book your winter vacation so you don't miss these events! Stay with us this winter in one of our 170 Breckenridge vacation rentals. We would love to have you stay with us. Plus, mention this blog post and we will provide you with a lodging discount!